Red Brick on the Lake: Shop Small for the Holidays! It's never too early to start thinking about Christmas shopping! I have personally already started my shopping as I usually like to have mine done as early as possible. I like to be able to enjoy the whole month of December and really take it all in...the lights, the Christmas movies, the decorating, and the company of my family and friends, without having to stress over my gift list. One way I like to get my shopping done is online. 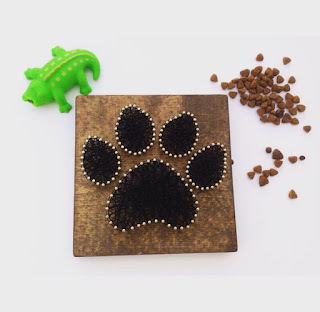 I'm doing something a little different this year, instead of buying all my gifts in big retail stores, I have been searching Etsy and small businesses on Instagram for some really unique gifts. The best part about shopping small is you're supporting a person or family that puts a lot of care into hand making you their item! 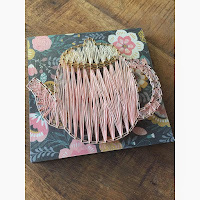 I have gathered some of my favorite makers and some really unique gifts that would be perfect if you are needing a gift for a friend, a sister, a mother or just a general gift for parties! I would personally love to give or receive any of these as gifts and I know you will too! I've linked each of the shops below for you to browse through and find your perfect gift! Linen & Lace is a husband and wife team that hand makes all of their signs. All of their designs are originals and I feel so lucky to have this personal one in my home. Brittani is just a sweetheart and I know you will love any sign you choose! Visit their Etsy Shop or Instagram @linenandlaceshop to see all their wonderful designs! If you want a great personalized gift then Simply French Market has just about every design you could think of! They specialize in pillows and describe their style as Rustic Farmhouse and Flea Market Chic. They also do custom design pillows, curtains, and burlap and wood plaques. 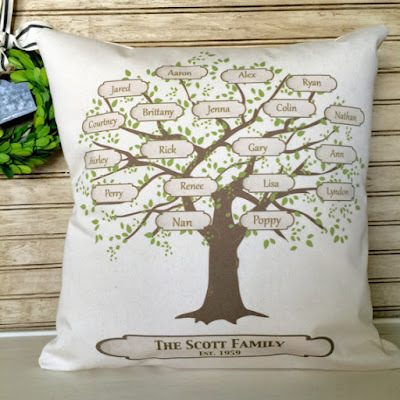 I adore this family tree pillow! It would be a perfect gift for your sister-in-law, mother, or grandmother! Visit Simply French Market on Etsy or Instagram @simplyfrenchmarket to see all their amazing designs! Kelly is a great friend of mine and I am grateful to own so many of her designs! 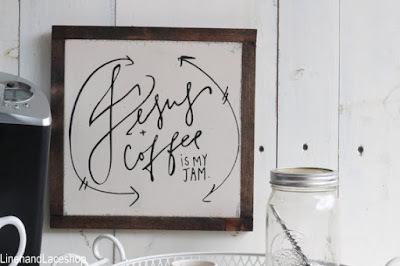 Kelly hand makes rustic wood signs to use in decor. 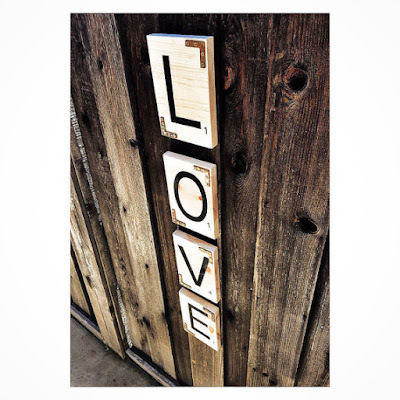 These Scrabble Tiles would look perfect in any home! She has many designs in her Etsy Shop that would be great for gifts already but she can also do just about any design you can envision! Check her out on Instagram @artbykelly for sales and her latest work! Needing a great gift for a friend or loved one? Or maybe a stocking stuffer? 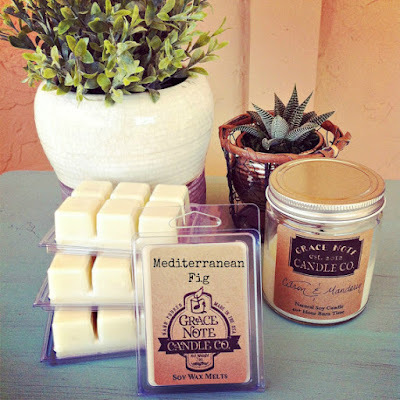 These candles and melts hand made and hand poured by Grace would be perfect! She uses domestically U.S. grown 100% soybean wax as well as high quality fragrances and essential oils to scent her wax. Her Autumn scents like"Spiced Cranberry Tea" and "Harvest Pumpkin" sound wonderful! Visit her Etsy Shop or on Instagram @gracenotecandleco for all her scents! 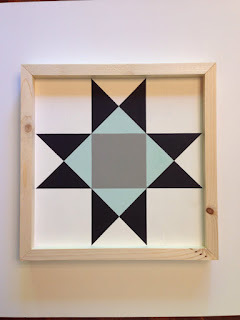 If you are looking for something unique, Dara hand paints these traditional state quilt blocks and I am so in love with them! 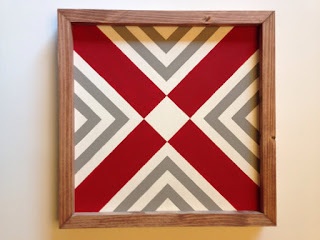 Did you know every state has their own quilt block pattern? Once I learned this from Dara I had to go and look up what the one for Oklahoma looks like! Visit her Etsy Shop for more designs! One on left is the quilt block for Michigan. One on right is the quilt block for Ohio. Find Dara on Instagram as well @hoodcreeklogcabin. Erin makes some of the cutest tea towels around! I am so in love with every design she makes. 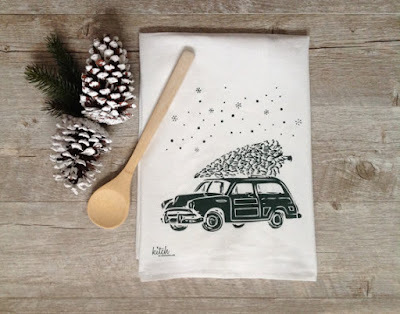 Any of her adorable tea towels would make the perfect gift. Especially if you are needing a gift to give to the hostess for all the holiday parties you might be attending. Head on over to her Etsy Shop and grab you some! Find @kitchtowels on Instagram for her latest designs. 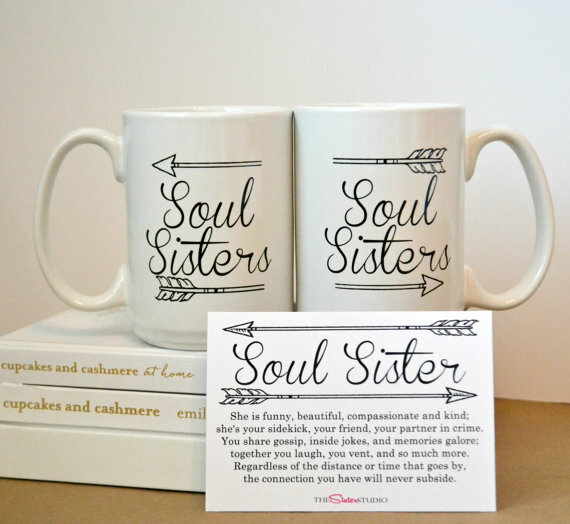 Need a gift for your bestie or "soul sister" ? These mugs are absolutely the perfect gift for them! Purchase these as a set and keep one for yourself and give one to your best friend! 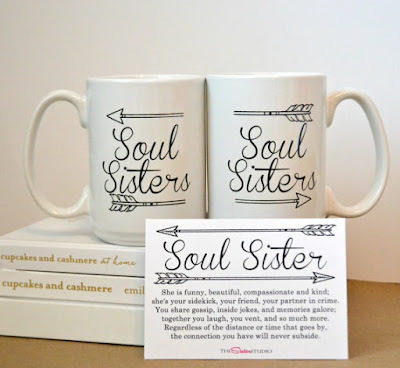 The Sister Studio also has great monogrammed gifts as well! Check our their Etsy Shop for all they have to offer as well as Instagram @thesisterstudioig for the latest! Farm Girl Ada is a boutique right here in my home state of Oklahoma! I believe they have a gift for just about anyone on your list. They have apparel, farmhouse decor, bath & body, baby items, and books! 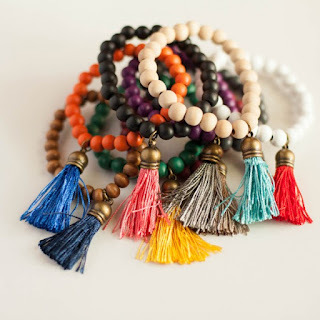 These tassel bracelets are adorable and would make a great gift or stocking stuffer! 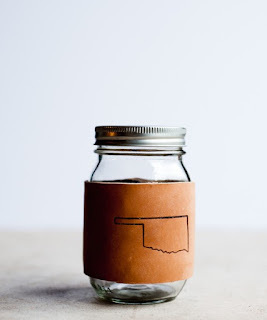 This mason jar mug with the Oklahoma leather wrap is a favorite of mine. I have this mug in the Bison version and love it! Check out Farm Girl Boutique online and on Instagram @farmgirlada. I absolutely love all of Jamie's string art designs! She does amazing work! 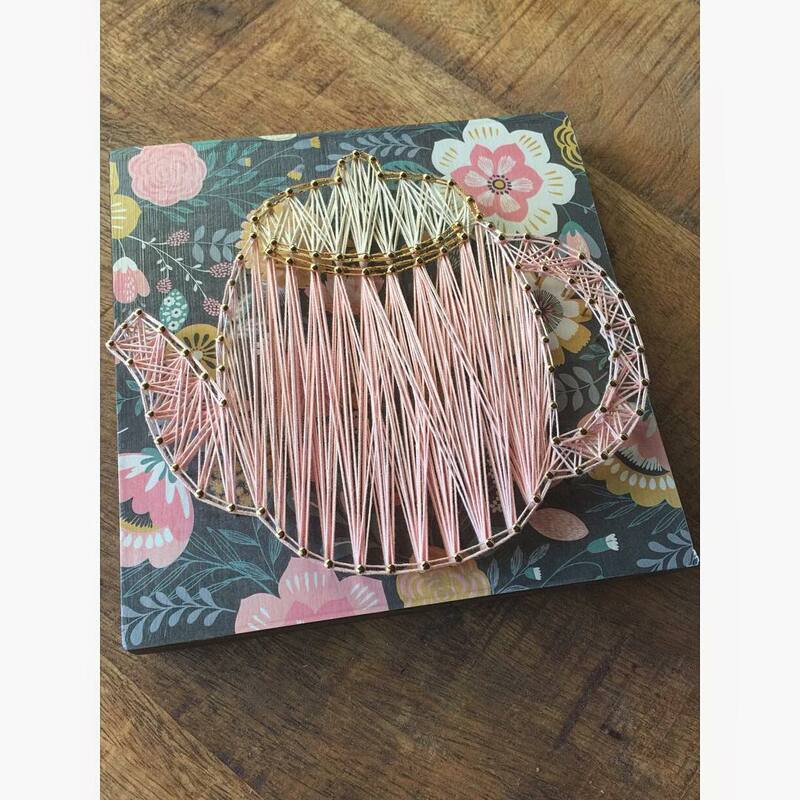 I own a mini heart string art that Jamie made for me that I have hanging in my girls room and I just adore it! Who wouldn't love one of her pieces as a gift? This one above would be perfect for the dog lover in your family! Check out her Etsy Shop for more of her amazing designs or follow her on Instagram @naileditbyjj. If you are a small business owner please mention your shop below so I can definately go and check it out. I would love to see what you make! I hope maybe you have found inspiration from one or more of these lovely shops to help complete your Christmas shopping! How fun is this post? 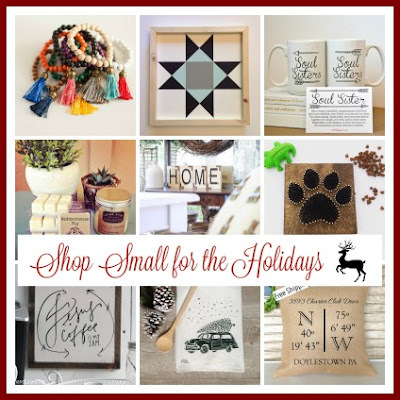 I love it..and love that you are sharing some of my favorite small shops and giving me a couple new ones to go check out.